Reminiscing is a wonderful way to engage a loved one living with memory loss, especially those with Alzheimer’s or Dementia. Customize your memory care with a photo gift or game that brings you and your loved one joy. A child may not know how to act or what to do around a family member with failing memory. Game playing and story sharing are fun ways for kids to ease this uncertainty, and engage a family member with memory loss. Support your Caregiver like they support your loved one by creating a photo gift or game for them to look at or play together. 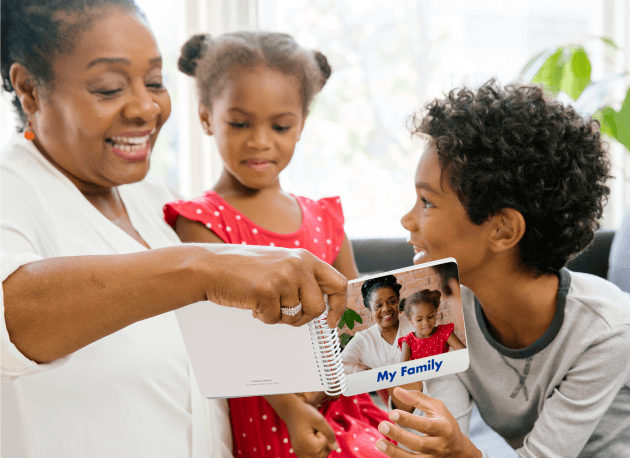 Familiar photographs are a tangible way to comfort your loved one, as they provide a sense of self and connectivity to important people and places. Adults living with Dementia or Alzheimer’s have fleeting moments of memory rushes. 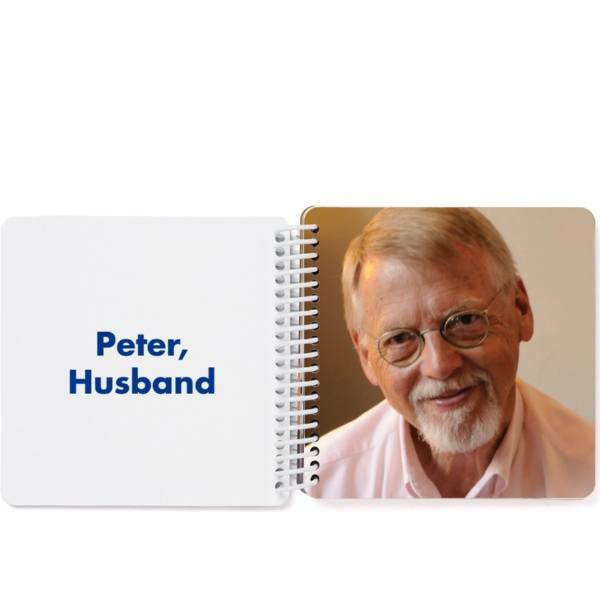 In these moments, Caregivers, Nurses, and Aids can use our memory book to work with your loved one, asking about the faces and places they may frequently talk about. 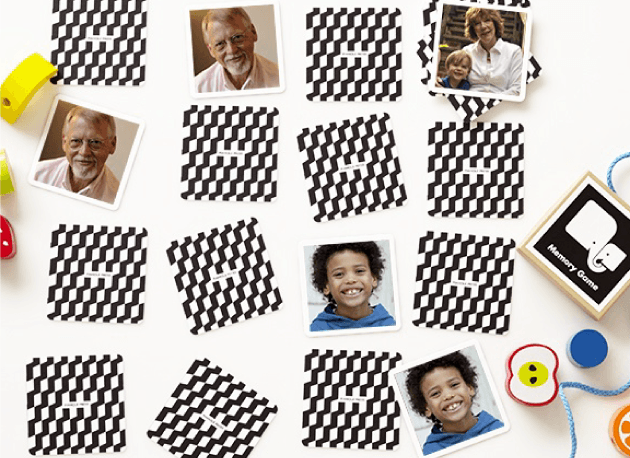 This collection of photo gifts and games is specifically designed to better serve those living with memory loss, especially those with Alzheimer’s or Dementia. Each photo gift and game can be completely customized to fit your memories. A great way for loved ones to feel at home when they are living in or visiting a community care center. Our family memory book pages are thick, durable, and glossy with large, easy-to-read text. 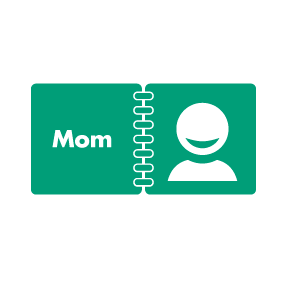 Personalize yours with photos of familiar faces and places, along with favorite memories. 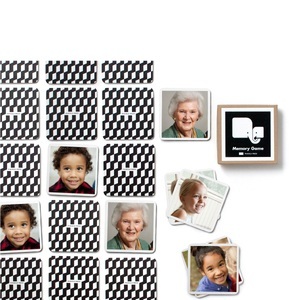 A great intergenerational game to encourage conversation and story sharing. Memory game pieces are sturdy, feature a glossy finish, and come in a personalized box. Use their favorite photo and choose between 252 or 60 pieces. 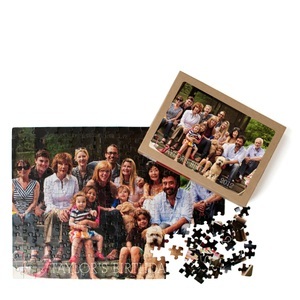 Each puzzle features thick, durable pieces and comes in a personalized box. It’s simple! Watch the video below for tips & tricks on how to customize your photo gift; from adding your family photos, swapping out a layout and even adding more pages. Collect photos that will make your loved one smile. Include family, friends, your home, and their favorite things. 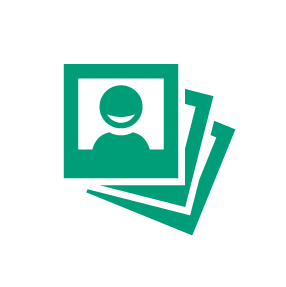 Drag and drop your photos into place, then add corresponding names. In as little as 7 days, you’ll have your new photo gift. 1. Do you have any designer assistance? Yes! 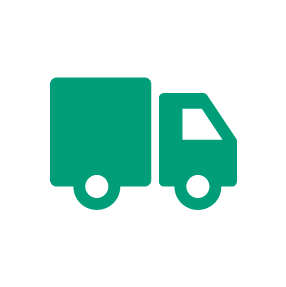 We’re happy to help however you may need. We even provide complimentary custom design work. 3. How many pages can I have in my book? You can print between 20-40 pages, and choose between many photo and text templates.